TriceEdneyWire.com — During the 2008 housing crisis, an estimated 7 million Americans lost their homes due to foreclosure. African-Americans were hit the hardest with a loss of nearly $200 billion, according to the Center for Responsible Lending. The Center for Financial Advancement, to launch this semester at Fisk University in Nashville, “will elevate money management skills, teach students about credit and homeownership plus position many for a financially rewarding career in the mortgage industry,” according to a press release. 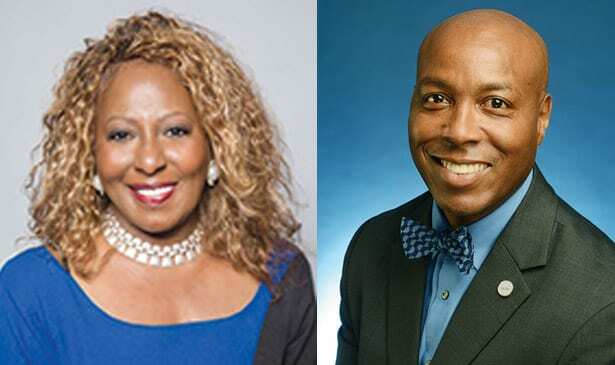 Fisk will be the first HBCU to participate in the program, a collaboration between Wells Fargo, Mortgage Bankers Association (MBA), Bank of America, and HomeFree-USA, a HUD-approved non-profit organization that specializes in homeownership development, foreclosure intervention and financial coaching. The average age of a mortgage loan officer is 47. About 10 percent of loan officers are over the age of 60 while only 3.3 percent are younger than 30. Only 10 percent of loan officers who reported their ethnicity were Hispanic or Latino, and only 3 percent identified as Black or African-American, while 81 percent self-identified as White. Organizers of the new center say it aims to address all of these racial disparities and more. Gross racial disparities in America’s economic outlook are well-known to economists, who say the wealth gaps will not close without targeted efforts. “African-Americans still earn just 60 percent of what Whites earn. We have just 7 percent of the wealth that Whites have. We have double the unemployment rates. Even with equal incomes, we find it more challenging to get mortgages or other access to capital. And our economic rights are being challenged every day,” economist Julianne Malveaux recently wrote in a column, published in Black-owned newspapers across the country. Disparities in homeownership is “the biggest driver of the racial wealth gap”, concludes a Brandeis University study on the roots of the widening wealth gap. The study also points to “toxic inequality” rooted in policies and tax preferences that “favor the affluent”. This kind of information – typically unknown to many in the Black community – will be taught in the Center for Financial Advancement. Ranked within the top 10 of HBCUs by U. S. News and World Report, Fisk now has a new President Dr. Kevin Rome, who, in an interview with The Tennessean, pointed to “entrepreneurial opportunities” as a possible strategy for growth on campus. The more than 700 students from all majors on the 40-acre campus will have the opportunity to use the center. “The point here is that people from all majors and all skill levels can get into the industry, and this is the industry where money is made,” said Griffin. As an example, she pointed to a HomeFree-USA intern, whose first job at a mortgage agency, paid $80,000 annually – well above the average $50,000 starting salary of college graduates in 2017. Griffin envisions the Center as a growing program, which will gradually expand to other HBCU campuses. An annual series of five seminars conducted jointly by HomeFree-USA, and mortgage banking leaders. The curriculum will include banking and savings basics, mortgage lending, student loan debt, homeownership, credit reports, overall financial capability, and most importantly, enriching information about mortgage industry opportunities. Students who complete the entire series of seminars will receive a Certificate of Financial Readiness, signed by the leading sponsors. Center partners will have access to a pool of interns and potential permanent hires, get CRA credit and tremendous branding opportunities. The program is receiving wide applause from the financial industry.